The entry requirements are English and maths at grade A*-C and must be 16 years of age. You must be a volunteer, a childminder or currently employed in an OFSTED inspected environment – having experience in an Early Years setting. Cache level 3 Diploma for the Early Years Workforce (Early Years Educator) (QCF). 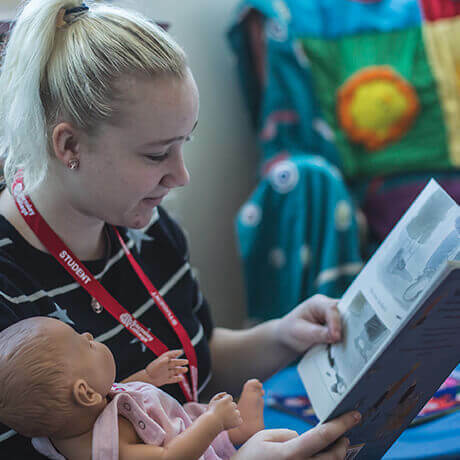 The CACHE Level 3 Diploma for the Early Years Workforce (Early Years Educator) prepares you to become an Early Years Educator, enabling you to work with children from birth to 5 years and gain knowledge of children aged 5 to 7 years. Upon achievement of this qualification it is intended that you will be able to enter the workforce as an Early Years Educator. All units will be internally assessed using a range of methods. Stationery will be required and access to a computer would be an advantage. Course fees: £1,995 Full Fee Payable.